The Bay of Cam Ranh is one of the jewels of Vietnam. The long protective seaward peninsula and natural inner and outer harbors form what many believe to be the best and most beautiful deep-water port facility in the entire world. It also has a long history of military usage going back as far as 1905, when the Russian Fleet under Admiral Zinovy Rozhestvenski stopped there during its long around the world voyage to meet defeat at the hands of the Japanese Admiral Heihachiro Togo during the Battle of Tsushima. The Japanese also used the bay to assemble their warships and transports as they prepared for the invasion of Malaysia in the very early part of World War II, leading to the downfall of Singapore. During the Vietnam conflict, the United States turned the bay into a major supply entrance point. Besides the natural anchorages, significant off-loading docks for large cargo ships and their associated warehouses were in place. The US Army based a number of transportation units there to distribute supplies by semi-tractor trailer trucks throughout South Vietnam. In addition, a large USAF base was constructed with runways long enough to accommodate the huge C-141 and later C-5 transport aircraft. The base was not only for cargo, but also as a main entrance and departure point for many of the American personnel assigned to the conflict. The entire northern half of the eastern peninsula, which protected the bay from monsoon weather and seas, was a beehive of military logistical activity beginning in 1966-67, and remained so for as long as the US was involved in the conflict. The US Navy also based some of their Market Time patrol aircraft at Cam Ranh. A squadron of P-2 Neptunes operated from the air base. In addition, until April of 1967, one of the final remaining P-5 Marlin seaplane squadrons in service used the quiet waters of the bay as an excellent runway and seaplane tender anchorage for surveillance flights. 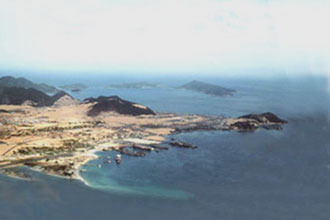 At the southern tip of the long peninsula, just off the point identified on the charts as Mui Cha Da, and referred to by personnel from other services as South Beach, was Naval Support Facility Cam Ranh Bay. This served as home base for the fourteen or so Swift Boats of Coastal Division 14, and starting in mid-1967, the Commander of all Swift Boats (Coastal Squadron One) and the Commander of Operation Market Time Task Force 115. The base was not very large and was isolated from the more densely populated northern half of the peninsula by a hard packed road that meandered along the eastern coast and beaches. Rising up a small grade in a low gap between two hills presented an overview of the quiet cove below with its clustering of buildings that comprised the US Naval Support Facility to a descent down to the base to Binh Ba Island, protecting the entrance to the bay, and the home of the VNN Coastal Group 26. 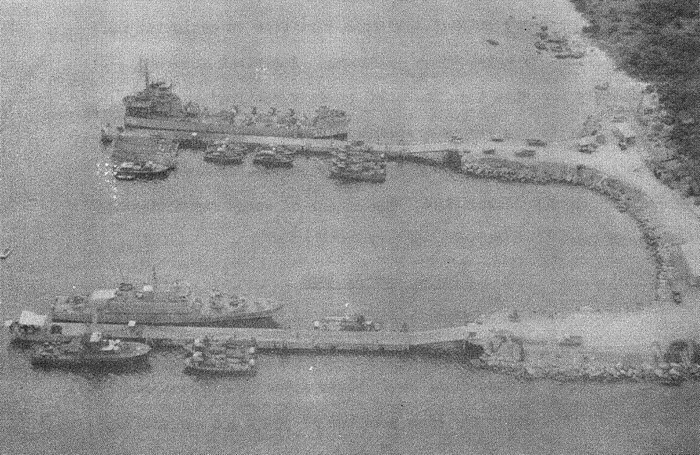 Coastal Division 14 Swift Boats nested on either side of the long pier extending out into the harbor. 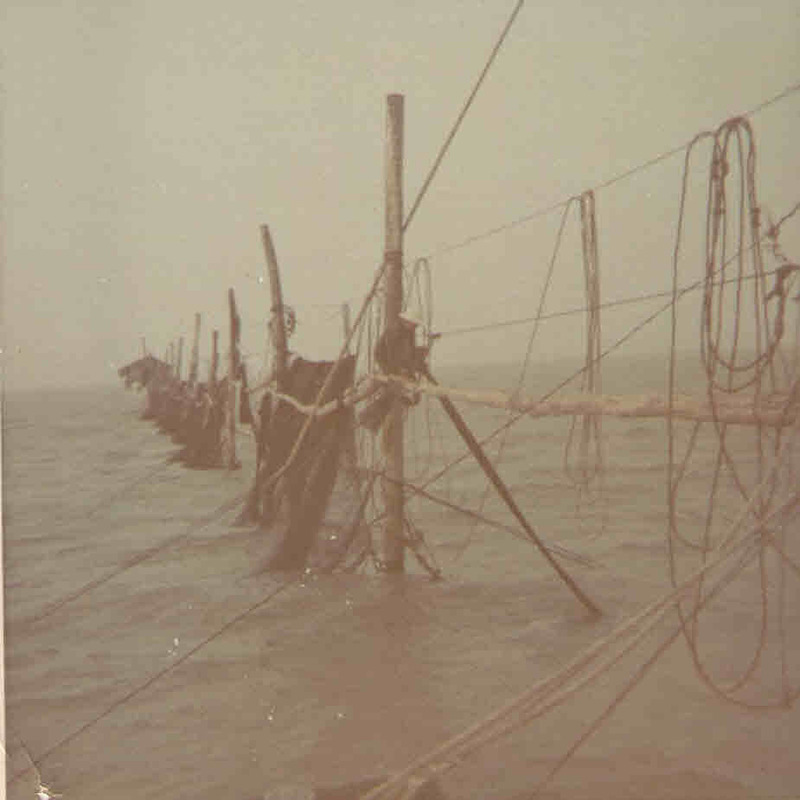 Personnel movement between the Coastal Division 14 HQ building and the piers was either by walking or using the rickety old jeep assigned to the division. The clutch or transmission was likely to fail at any time. Cam Ranh's assigned patrol areas extended from Phan Ri in the south to Vung Ro Bay in the north. As a result, the time required just to get to and from these areas made the patrols long and the turn-around interval at the base very short. Unfortunately, this also meant that there was little opportunity to enjoy the picturesque beach just outside our barracks area. However, the Swift Boat crews did manage to find time to engage in relaxation during the off duty periods when they were not out on patrol. After making sure that the crew's boat was properly looked after and was ready for the next patrol, activities such as cookouts, kicking one's feet up in one of the clubs, or participating in a beachfront game of Jungle Ball were welcomed diversions.